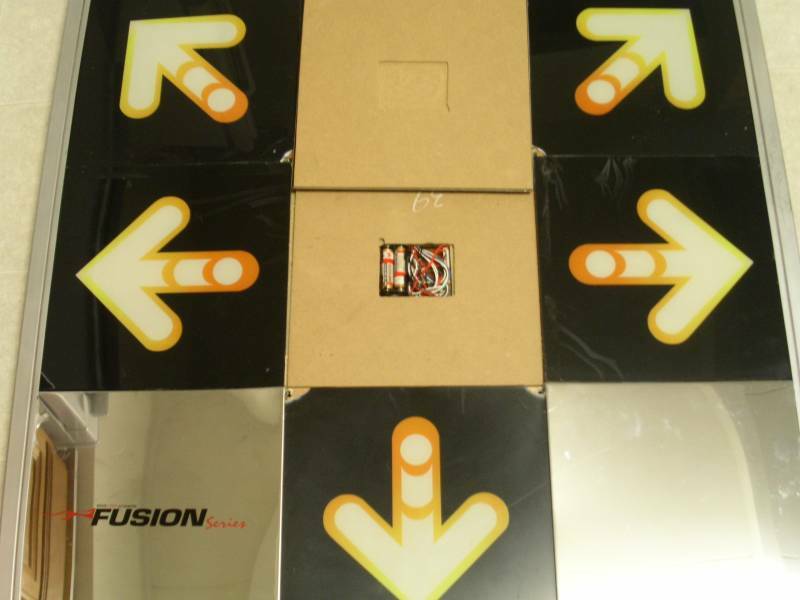 When I first heard about the Buy n Shop Fusion iR metal dance pad, I was interested in the fact that it is wireless. I liked the idea of having a nice clean area for dancing, with no wires to tangle and the chance to adjust the distance from the television to the dance pad easily. 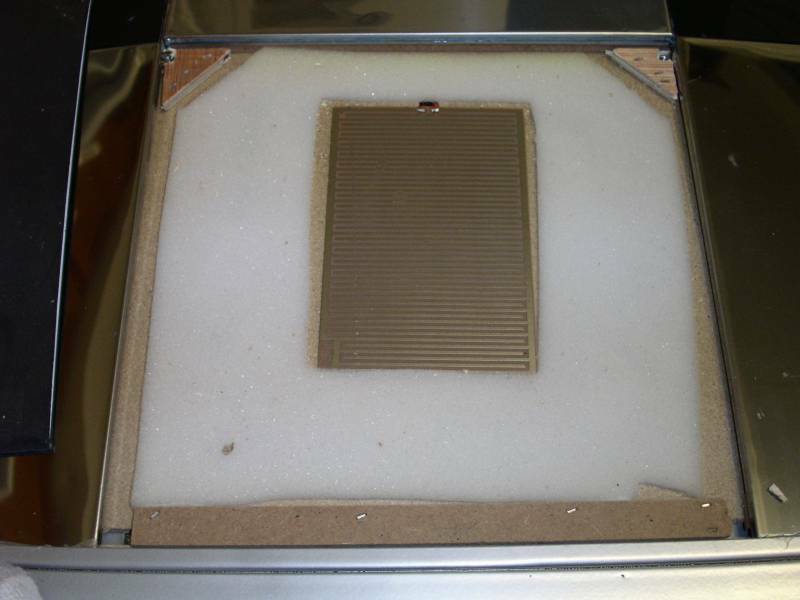 When the Wireless Fusion pad arrived, it looked functional. 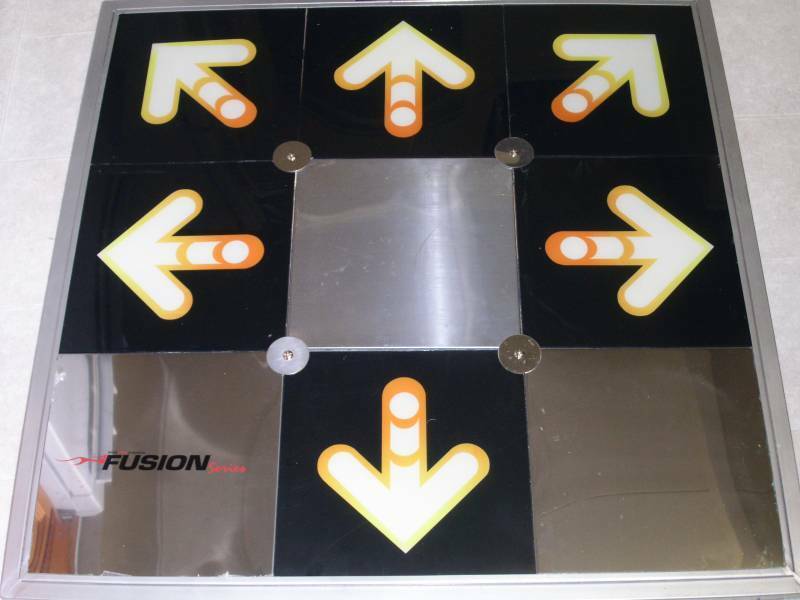 The color scheme was different than other dance pads, with orange-yellow arrows on a black background. 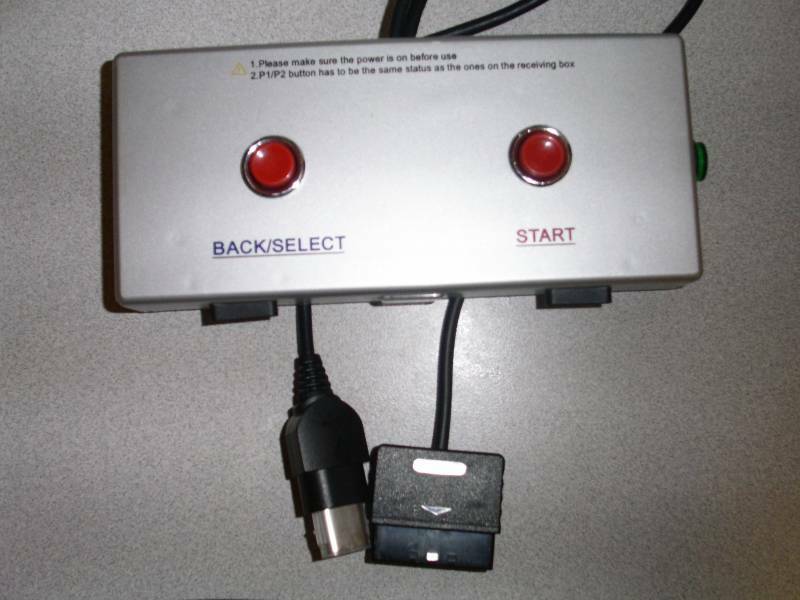 The control box was simply built and had both playstation and xbox adapters already built into one, reducing the chance that a player would lose one of the adapters. It was simple, and I liked it. Most pads are plug and play, and come with no documentation, so when the Wireless Fusion pad had no documentation other than a little blurb about making sure the unit was turned on and to make sure the player 1 or player 2 button matched on both the pad and the control box, I was not surprised. Unfortunately, it wasn't that simple. The P1/P2 button could be pressed to be "in" or "out" with no indication of which was player one or two. 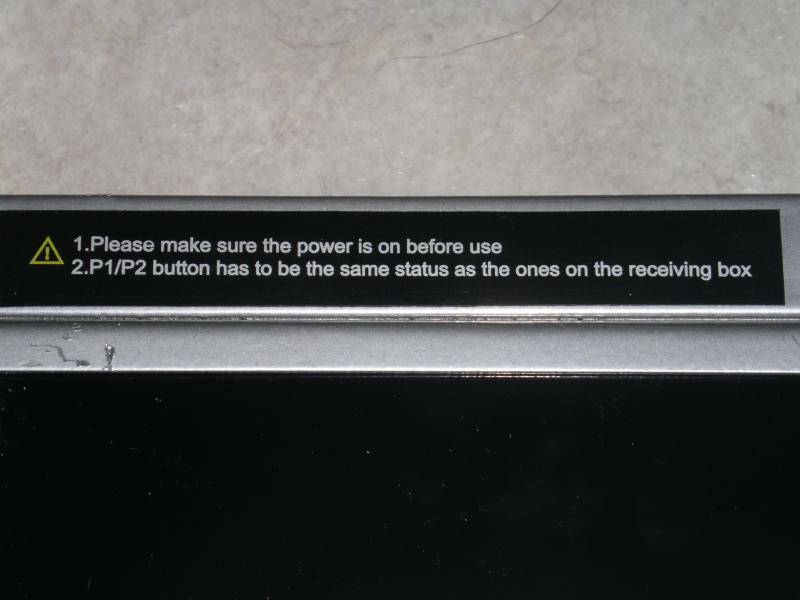 When I plugged the control box into the PS2, there was no response from the pad, even though the power indicator was lit and both of the P1/P2 buttons were pressed in. Line of sight between the pad and the control box was very important. 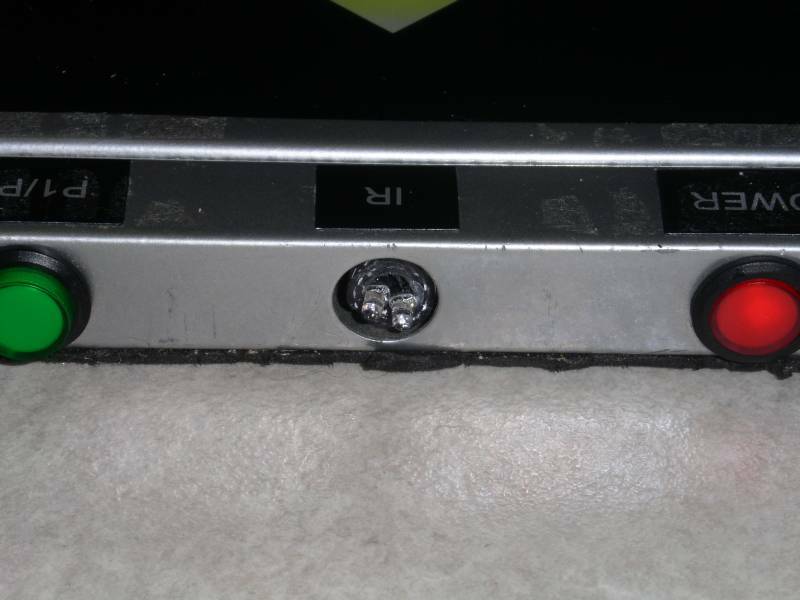 The PS2 was on a table, and the pad was on the ground about 2 feet away from the control box. The control box was also on the table because the cord was too short to be anywhere else. There was no FAQ or user's manual to be found on the BNS website. After a lot of trial and error, I ended up placing the PS2 on the floor with the control box about 2 feet away from the pad. The next test was to play on the pad. I found the 30 pound pad heavy enough to be stable during fast songs with many steps and body turning. It was also light enough to easily move from one end of the living room to the other. However, the game play was poor. The arrows sunk down very far which allows a player to feel the arrows, but almost gives the sense of falling. There was a large delay between the time that the arrow was pressed and the time that the arrow registered. I took the pad apart to see what might be causing the delay. These pads are cheaply manufactured. The first thing that I noticed was that the corners of each of the arrows seemed to be broken. Upon further inspection, I realized that they were actually broken in each of the corners intentionally. Rather than manufacturing a cut into the plastic, BNS had just snapped off parts of the arrows. I opened each of the arrows, which all had one central sensor. There were small triangles made of plywood in each corner that held up the plastic portion of each arrow. The flex of the plastic arrow at this point was what has caused the sinking feeling when an arrow was stepped on. When I tried to remove the up arrow, it was particularly sticky. I pulled it out, only to find that the arrow had been glued in. 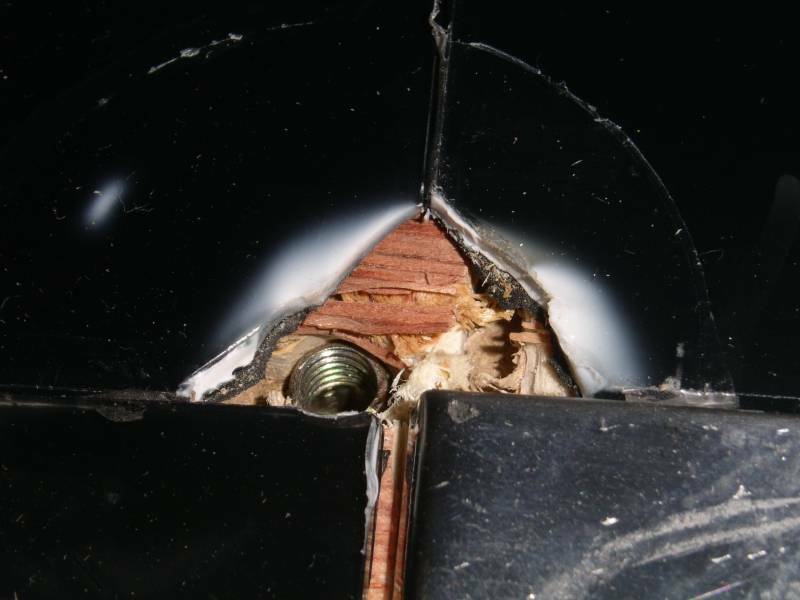 This was in order to secure the iR part of the pad. 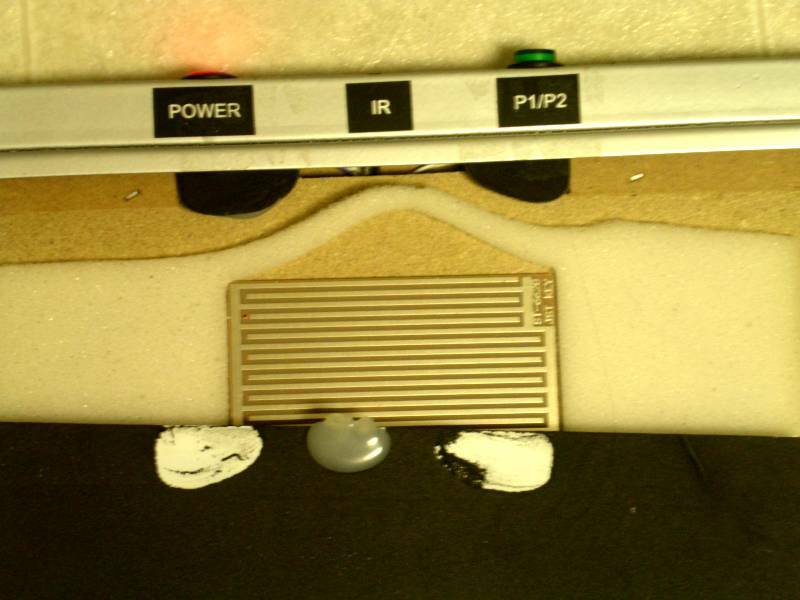 In a normal pad, the player probably wouldn't have any reason to take the pad apart. 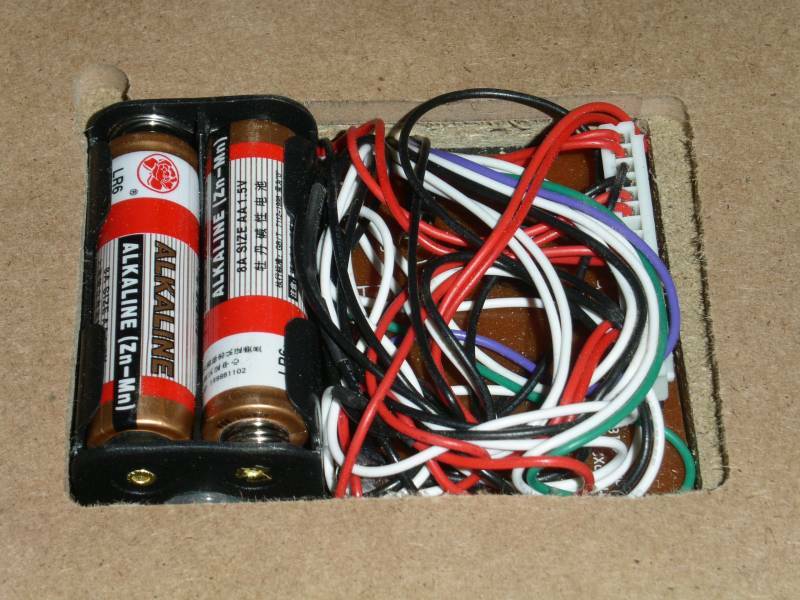 However, the Wireless Fusion pad runs on only 2 AA batteries, which are included. Unfortunately, the battery replacement involves taking the pad apart because the center silver panel covers the batteries. This means that all the poor workmanship and broken looking arrows will be seen by the user. Again, there is no documentation to go with this pad, so I had to figure out where the batteries were located. 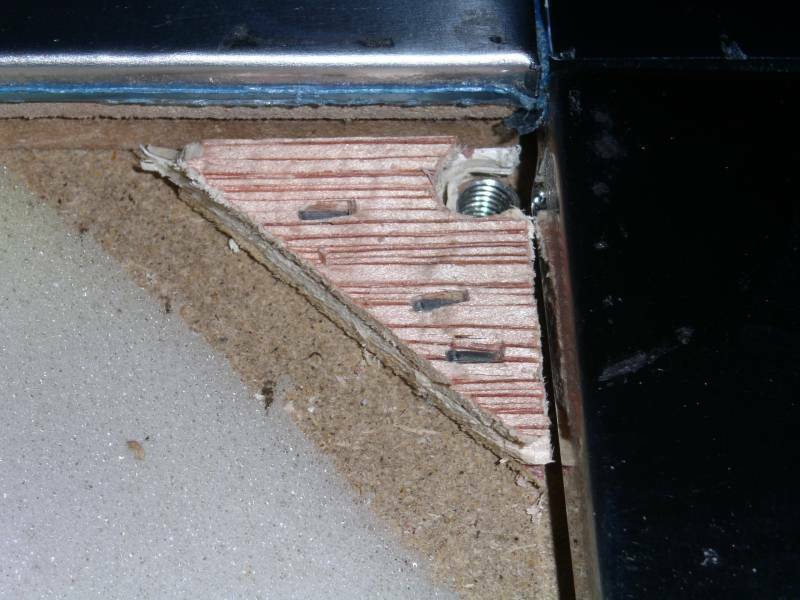 This would probably frustrate someone who does not dismantle dance pads on a regular basis. This pad was a disappointment. Although this pad is better than a soft pad because it is heavier and stays put when played on, I would not recommend it as a hard pad. The iR functionality only works if the line of sight is clear between the pad and the control box, and there is no documentation for how to set up the pad. The arrows sink too deeply to be comfortable, the huge lag in response time is distracting, and it is poorly constructed.